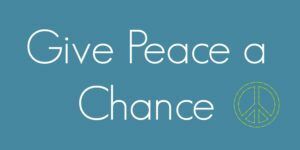 Every year, on September 21, the global community comes together in celebration of the International Day of Peace. A day devoted to strengthening the ideals of peace, both within and among all nations and peoples. This year’s theme is, The Right to Peace – The Universal Declaration of Human Rights at 70. 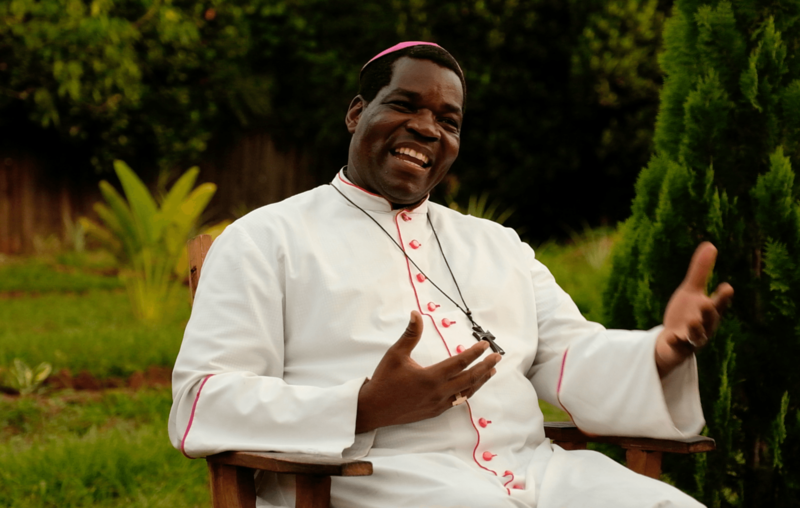 On Wednesday, September 12th, 2018, we sat down and spoke with Bishop Eduardo Hiiboro Kussala. 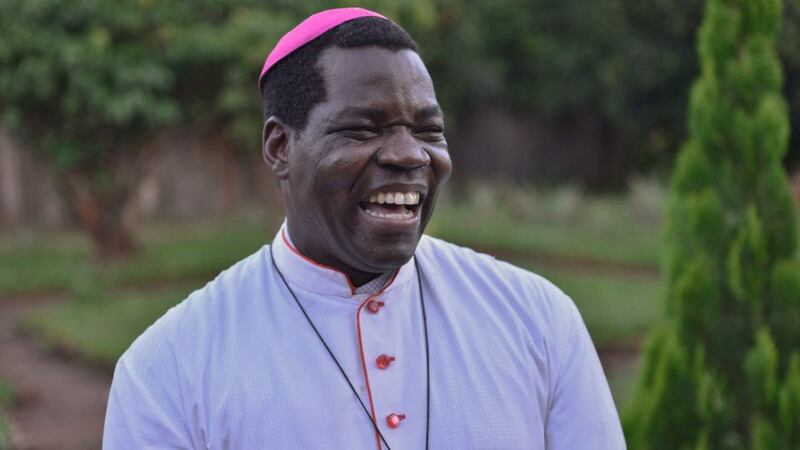 Bishop Eduardo is the Catholic bishop of Tombura-Yambio diocese in South Sudan and one of the key actors in the struggle for peace in South Sudan. 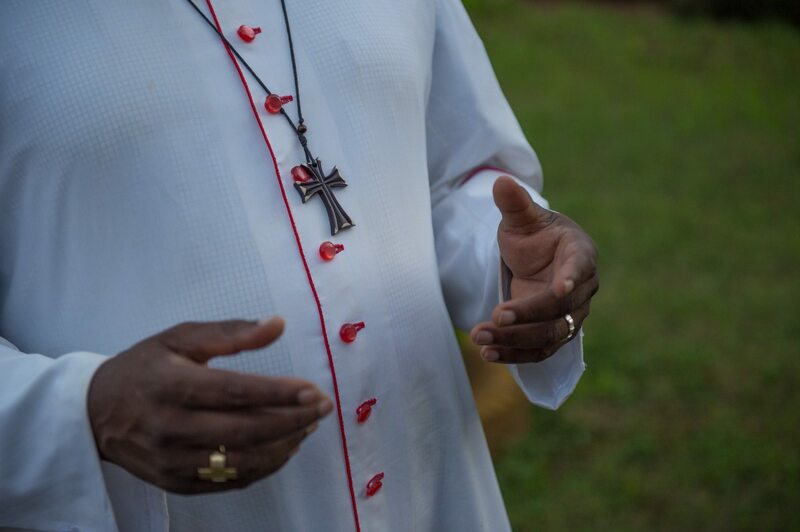 As we spoke with the Bishop in Yambio, miles away, in the capital of Ethiopia, South Sudan’s president, Salva Kiir, signed a peace agreement with rebel factions to end a five-year civil war that has killed an estimated 50,000 people, displaced more than two million, and thwarted progress in a country that gained its independence seven years ago. To celebrate International Day of Peace, we share the inspiring reflections of this peacemaker, a man who has dedicated his life to the pursuit of peace. Where do you get the strength to continue working for peace? I am passionate for peace. I have lived outside South Sudan. I have lived in peaceful places. I know that without peace people cannot grow. It is a very sad reality. You can’t plan for anything. Everything stops. Over the past 10 years, I have had so many plans that I cannot realize because of the conflict. 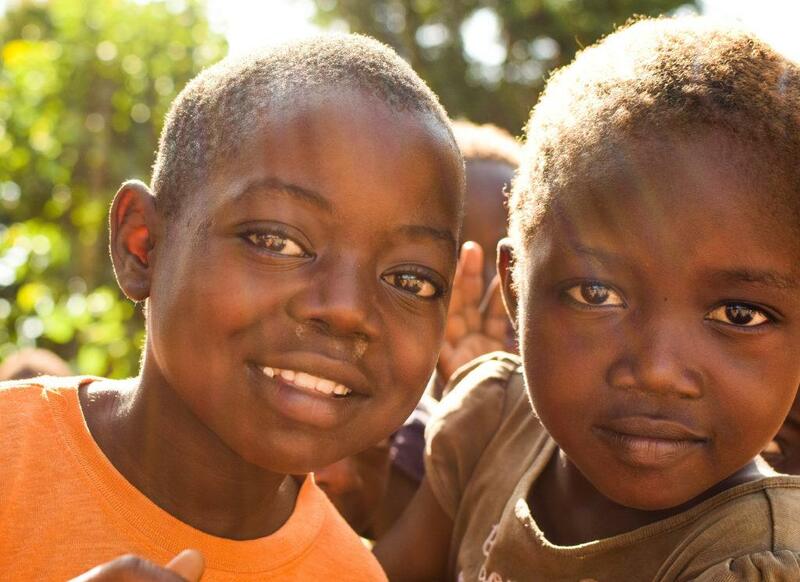 And when you move around in the communities, you see so many children, beautiful children, and you know these children are not able to do anything. You see ruined childhoods, ruined futures. People cannot make healthy families. And they don’t have a mindset for a future. People live only for today. They don’t think, “I am going to go to school, go to college, plan for my career.” So many young people here have no path forward. I had my own experience, because I lost my mother when I was only two months old. It was because of violence. For so long I held on to a lot of hate towards her transgressors. And then an American Jesuit came. He was called Edward. I remember one day, he was teaching in the class about justice and peace. He was teaching about reconciliation. He was talking about forgiving the enemy. I thought, this man was hired by my mother’s transgressors to come and convince me to forgive. I wasn’t feeling happy. You know, when I used to hear my colleagues talking about their moms, “My mom said this”, “My mom gave me this”, I would feel bad that I was deprived of my mother. From that day, I had this conversion. I started now really working for peace. My feeling is that we have to have peace. If you have peace, you have development. If you have development you have peace. Looking at our continent you see the same thing. People can’t grow. We are like stagnant water rotating in one place. How many centuries ago did we invent electricity, machines for making roads, for cooking, good hospitals. And up to now, as I speak, with darkness coming, what’s the problem? Why are we stuck? We are just like other human beings. We have got to turn this story around and to do this we have to work for peace. It’s my passion. It’s my life. Wars are poor chisels for carving out peaceful tomorrows. – Martin Luther King, Jr. I can so easily recall moments of fear and confusion. Moments where people desperately needed someone to make some sort of effort towards peace. And yet, there was no one. People didn’t know what to do. You see, in a community like ours, conflict is not new. In the past, you would look towards the elders to bring peace. If they didn’t step up you would look towards the intellectuals, or even the youth. But, this time around there are not even youth to look to. Some of our youth became angry. They took their guns and marched themselves into the bush. Others were stolen, ripped from their families and forced to join rebels at gunpoint. And so, the community was left in between the armed groups and the government – all of them with guns. Who is going to come in between and talk to them? I felt it was time to come forward and initiate a process. I spoke to government, I called them here to our church – the government, the elders, and some youth. I started to question them because our villages were empty. You walk on the road and you don’t see people. Where were they? They were already in the bush with the guns, training themselves to fight. What do we do? For the gunmen, yes we are to fight them. But you look at their age, some of them sadly were as young as 15, some even younger, and that was a very sad realization. If you kill these children, it is a whole generation lost. So I asked the government if they can allow us to try to communicate with these young people, to speak with them. The government reluctantly accepted, some were not happy. Because, you see, to talk with the youth we had to go into the rebel territory. We had to go into the bush. If you come back safe, then the feeling is you must now be a part of them. If they are left you unharmed, what did you agree to? What was it like, negotiating in the bush? There were times when I thought I would never return at all. On many trips into the bush, I would be thrown on the ground and held at gunpoint by a rebel leader. I remember one time pleading with them, “Please, we are here for the sake of peace.” I would try to rationalize with them, “Your parents are back in town, at your home. You are harming your family, yourself, and South Sudan. Please stop pointing your gun at us and talk to us.” At times, I didn’t know where my courage came from. I will tell you that one of the things I have felt honored to be a part of is the reunification process – helping child soldiers come home from the bush and reunite with their parents. I believe that when you know the truth, when you know deep down that something is right, you eventually choose the truth. That is what I told my church and the people who were helping me pave the way for peace. Yes, finally, what we had once believed impossible, began to take shape. We were able to cut a deal between the government and the rebel groups that would see thousands and thousands of child soldiers released – a chance to take back their childhood. Today, many many children have been reunited with their families and communities. Well, we have brought children out of the bush, but now what? So many of these children were lured into the bush under the illusion that they would become leaders, generals, or officials with privilege and money. Returning home from the bush, as challenging as it is, is only the first step towards recovery. Finding their place back with their families and within their communities presents a whole new set of challenges. This is where partners like CMMB and others have become so important. Their role in the communities, with the children is so important. My hope is that these children are able to secure a meaningful and safe future. That they are able to obtain their dreams – all that they have missed. I hope that they will be afforded the possibility of getting back their dignity and their potential. Everybody is crying for peace. We have never experienced proper peace here. For us, peace is just that people should be able to sleep, wake up, go to their farm, grow their food, and nobody attacks them. We just need the freedom, the dignity of the human being to be in place. People should respect each other and be allowed to develop themselves. Any final words to share with us, Bishop Eduardo? And that is what I believe in. All human beings should be treated equally, because God has given us life equally. That is why the planet is one, the air is one, the sun is one. Everything he made already equally, it is just that we human beings try to squeeze the resources for ourselves. I want to thank CMMB and many of our partners. 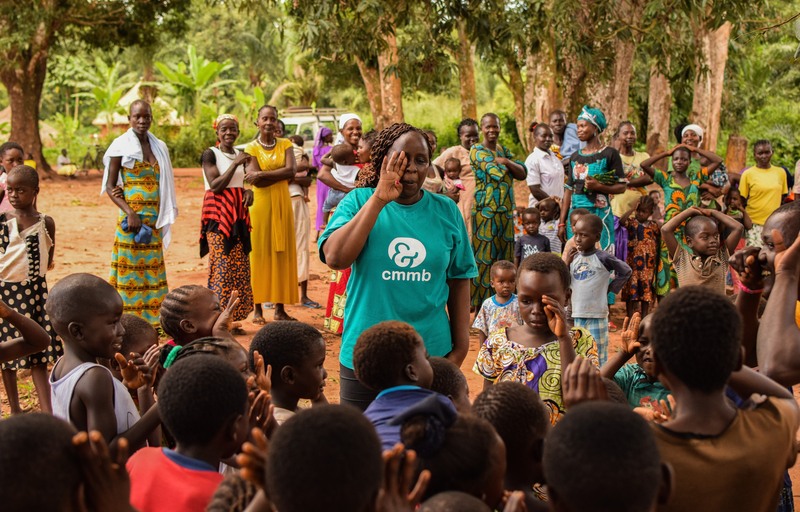 One thing that has given me a lot of consolation is that, when you are in this type of suffering, you still get people who come to you, many of our partners, like CMMB, working with us in this difficult situation. This has been transforming to me. A friend in need is truly a friend. They never abandoned us in these problems. It was risky to go on those roads, but they stayed with us. And there are people out there who are raising money, sometimes they don’t know why, sometimes they even have doubts, they wonder “will this money be useful?” I say yes. I am grateful to all our partners who support us, but I ask them to get closer still, and do more, and give us the skills so that we can produce and provide a society that is peaceful and can take care of everybody. Come and see. Come and visit. Pictures are not enough. These stories are not enough. I pray for you. Today as you interview me, there is a peace process in Addis Ababa. We are hoping and praying that something serious should be signed into a document that can be binding and bring peace to South Sudan. Peace is development and development is peace.